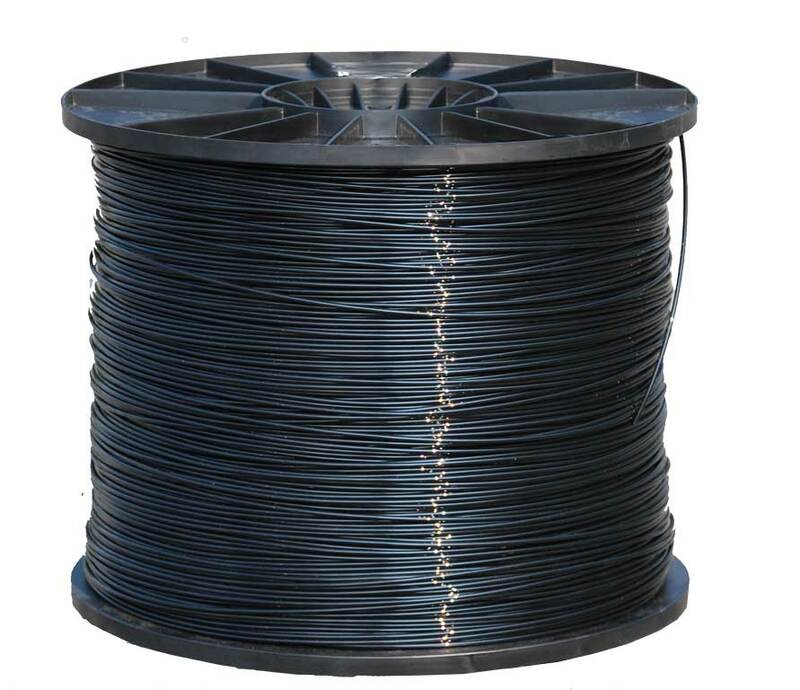 EZ-WIRE Poly Wire is a black high-tensile polyamide (PA6) monofilament with low elongation, compact cross section and high breaking strength. The EZ-WIRE monofilament is ideal for orchards, vineyards, shade covers, netting, and fencing. Other applications: support hail protection, greenhouses, horse fencing, etc. At the time of installation, it is strongly suggested that the tensioning of the polyamide yarn does not exceed 3% of the total length of the row. FILPOLY-2,5S, FILPOLY-3S - Lift wire for vines or other plants, ideal to attach on it irrigation tubes, etc. The EZ-WIRE Polyamide wire can be attached to the first anchor post by a Gripple tensioner. The line should then be rolled out towards the opposite end of the vineyard row. Attach a ire puller to the line, stretch 3% of row length, secure and tie to end post, then release wire puller from line. The polyamide wire will now be properly tensioned. EZ-Wire Polyamide wire can be fastened to intermediate posts with staples or other means incorporating plastic grommets. No additional equipment is required.